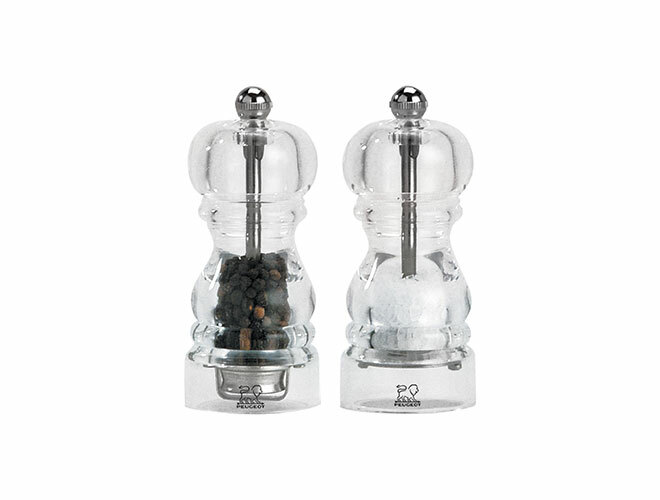 The Peugeot Nancy Acrylic Salt & Pepper Mill Set provides ultimate flavors for preparing and serving meals. Nancy mills are offered in crystal clear acrylic, in a style very similar to the Paris Classic wooden mills. 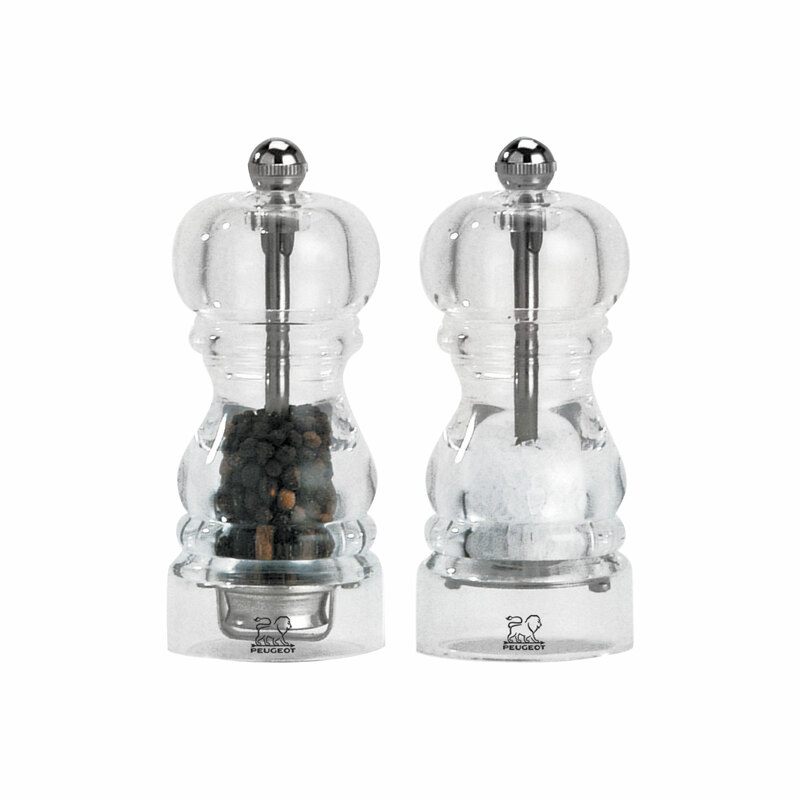 Simply unscrew the knob and take off the top, fill with salt or pepper and screw the top back on. 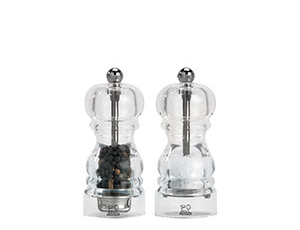 Turn the knob counter-clockwise to grind more coarsely and clockwise to grind more finely. Widely used by many of the world's greatest chefs, and essential and beautiful as kitchen tools, Peugeot mills are renowned as the ultimate benchmark in the art of grinding for almost two centuries. 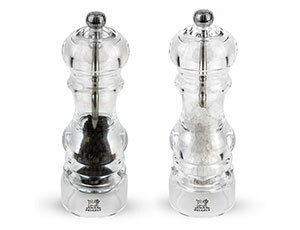 Peugeot's exclusive, patented steel mechanisms, including spice-specific mechanisms for each spice, provides users with world-famous reliability and unequalled grinding quality. All mechanisms are guaranteed for life, and all Peugeot mills are designed, developed and assembled in France. This relentless commitment to quality means Peugeot mills are as perfect for daily meals as they are for most elegant celebrations. Made in France, lifetime warranty for the grinding mechanism, 5-year warranty for the mill.